Brandon Rios showdown moving up? When Top Rank hatched the plan recently to move lightweight titlist Brandon Rios and Yuriorkis Gamboa, the former featherweight titlist and 2004 Cuban Olympic gold medalist, toward a showdown, the idea was for each to have an interim bout, then meet in the summer. Rios (28-0-1, 21 KOs) would go though with his defense against England's John Murray on Dec. 3 on the Miguel Cotto-Antonio Margarito HBO PPV undercard, Gamboa would move up in weight and fight once at junior lightweight in January or February, then move up again to lightweight to face Rios. However, Top Rank's Bob Arum told ESPN.com that they plan to speed up the plan and go directly to the fight after Rios' Dec. 3 defense -- assuming Rios is victorious. Arum said Top Rank has been talking to HBO's Peter Nelson about possibly making Rios-Gamboa for Jan. 28, which would be the network's first "World Championship Boxing" card of the year on the weekend before the Super Bowl -- when HBO normally schedules a major fight. "HBO wants to do that fight as its first big fight of next year," Arum said. "Everybody I have talked to has said that is a great fight. I think we're ready. I'm ready, (Rios manager) Cameron (Dunkin) is ready. He told me he is on board." Of course, depending how Rios' fight with Murray goes, even if Rios wins, the bout quite possibly would have to be pushed into February or March, given the turnaround time of only six weeks. Arum also said that Top Rank president Todd duBoef is talking about the plan with Ahmet Öner, who co-promotes Gamboa (21-0, 16 KOs) with Top Rank. "If Gamboa loses, so he's lost to a terrific fighter when moving up in weight and if Rios loses, he lost to a fighter who was one of the top amateurs of all time," Arum said. "It's a no-lose situation for both guys and they will get compensated very well." Going right to Rios-Gamboa is a change from Arum's style. He previously has dragged out the build-up to big fights, such as what he did the past two years toward a much-anticipated bout between Gamboa and then-featherweight titlist Juan Manuel Lopez. However, each man fought multiple interim bouts, and Lopez got knocked out by Orlando Salido in April, and the fight went down the drain. Öner said he is eager to make Rios-Gamboa and supports Top Rank's plan. 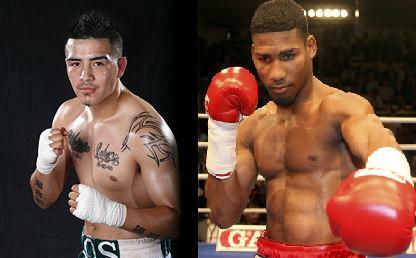 "It is no problem for Gamboa whatsoever to fight at 135 right away. He is an exceptional talent and already one of the best fighters pound-for-pound. I know that there are still some people who think that he needs to prove himself. Well, he is ready to do so and to fight the best. If it's Rios, then bring on Rios. We just don't want him to get knocked out on his way to facing Gamboa like Juanma Lopez. We want the big fights, so let's not waste any time."